Hermes is world-renowned for its famous handbags. But fans of the brand also have a not so secret addiction to the house’s tiny, handcrafted leather charms. An accessory to change your H bag’s personality or add a little Hermes magic to your non-H bags. Hermes charms are quite collectible and in high demand. One common theme amongst the brand’s most popular charms is the nod to the house’s equestrian roots. Let’s explore! Coming in 3 sizes - PM (small), MM (medium), and GM (large), the Rodeo bag charm is an adorable nod to Hermes’ love of horses and origins as an equestrian brand. Did you know that each year Hermes hosts an equestrian event in Paris? The Hermes Paddock Selle (Paddock Saddle) charm is a beautifully-crafted tiny replica saddle. Sensing a theme yet??? 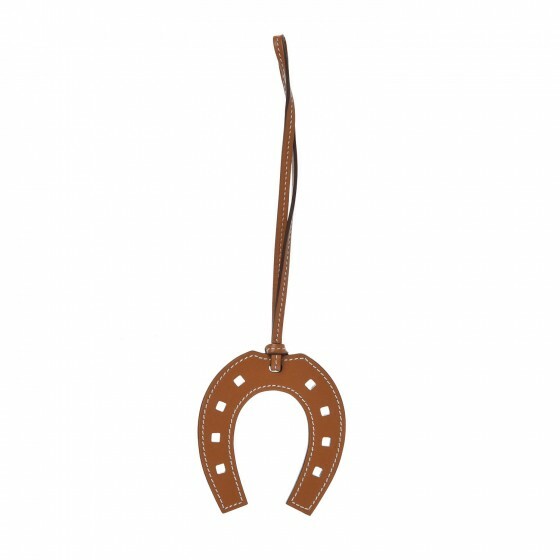 The fun is in the mix - combine your saddle charm with a horseshoe charm and a rodeo charm and saddle up! The Hermes Paddock Botte (boot) charm complements the mini saddle with a mini rider’s boot. You can really see the Hermes craftsmanship at work with the delicate stitching and attention to detail. Petit H is the delightful workshop where Hermes artisans use leftover leather or silk pieces that would otherwise be discarded to craft unique, one-of-a kind collectible pieces. Petit H is known for whimsical creations and the artistic freedom for H craftspeople to design whatever comes to mind. No two pieces are alike, making Petit H charms highly personal and collectible. 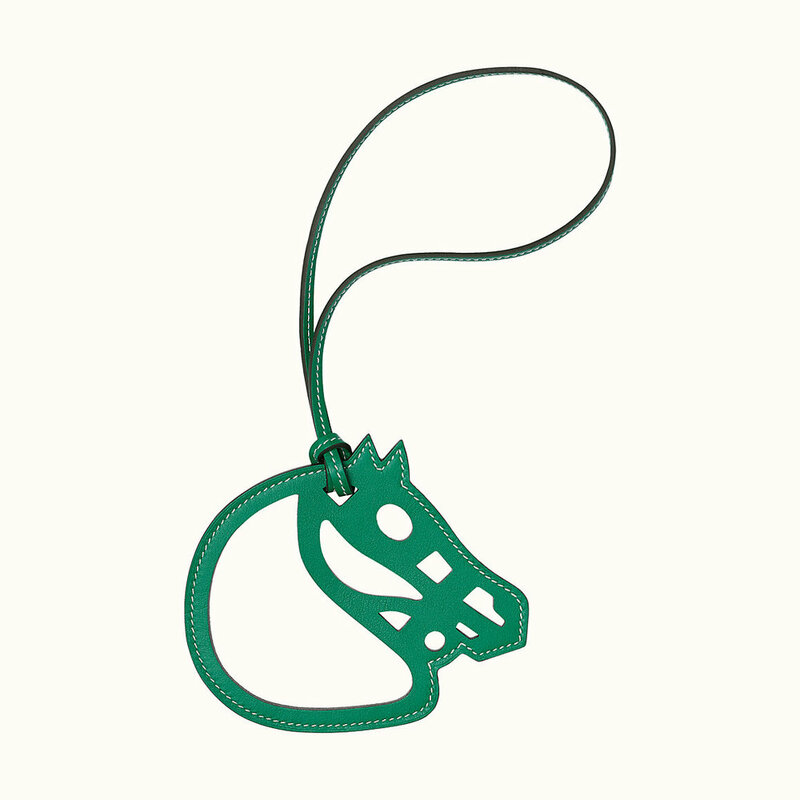 The Hermes Paddock Cheval (horse) charm is a delightfully deconstructed horse head icon. With the spacing between the leather outlines, it allows the color of your handbag to contrast (or match, if you prefer) with the color of the charm.